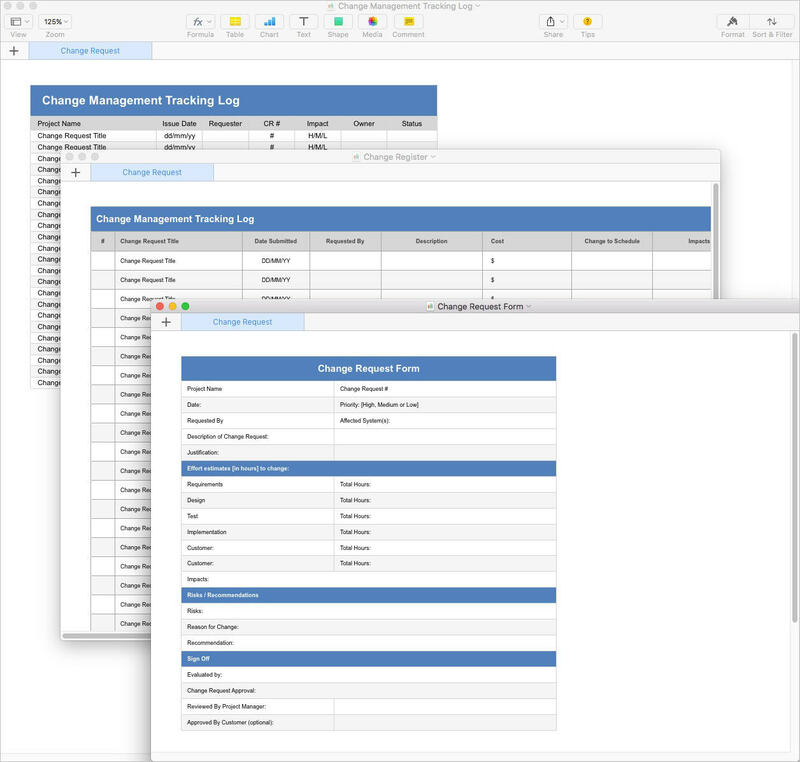 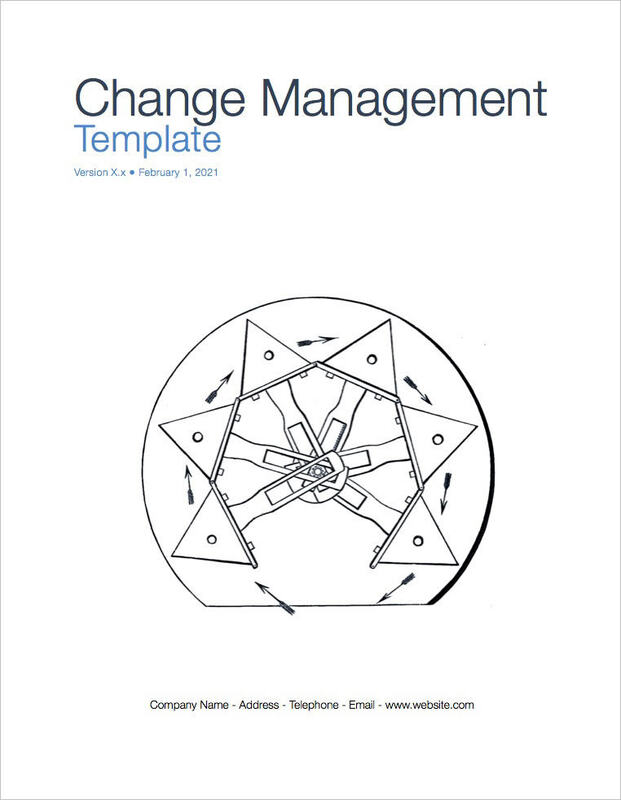 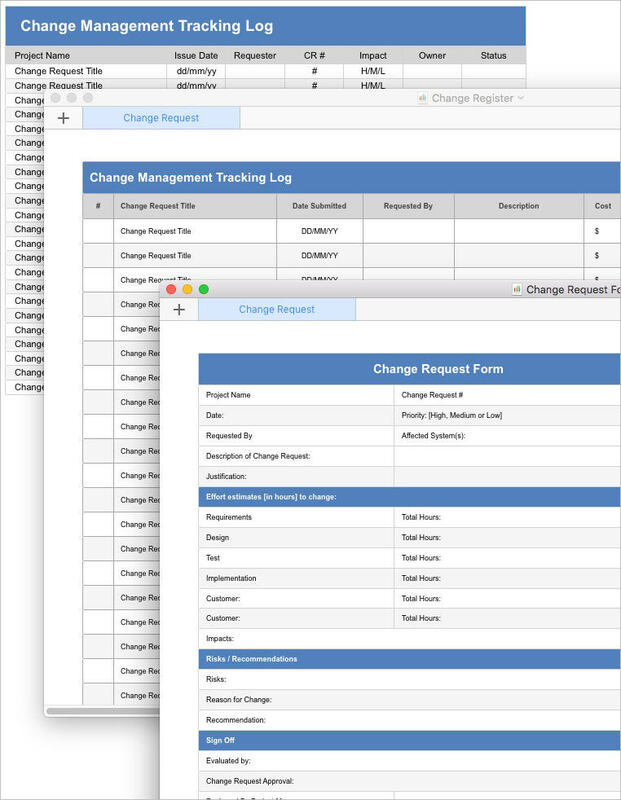 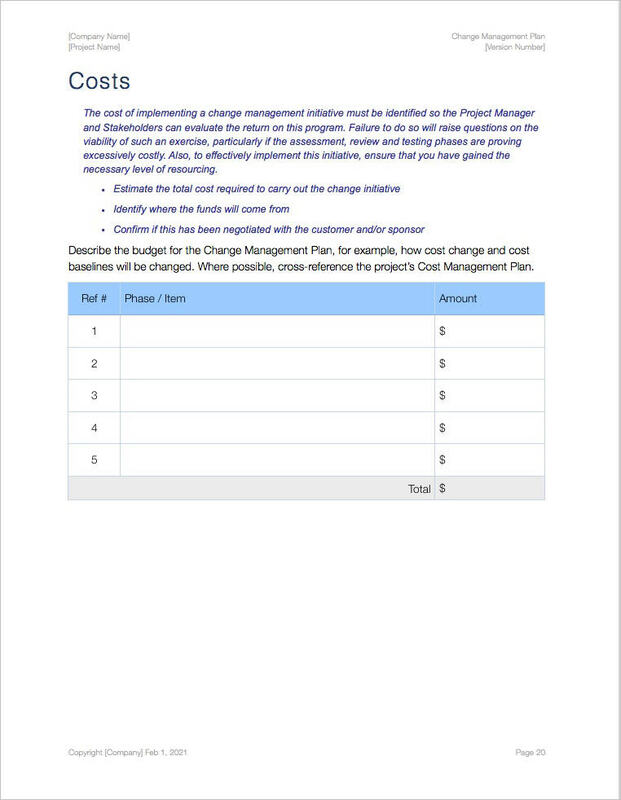 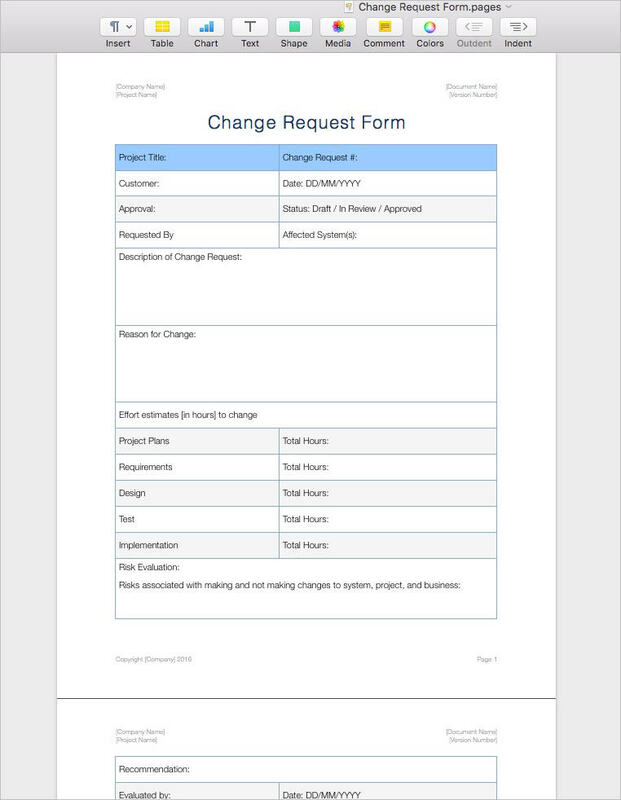 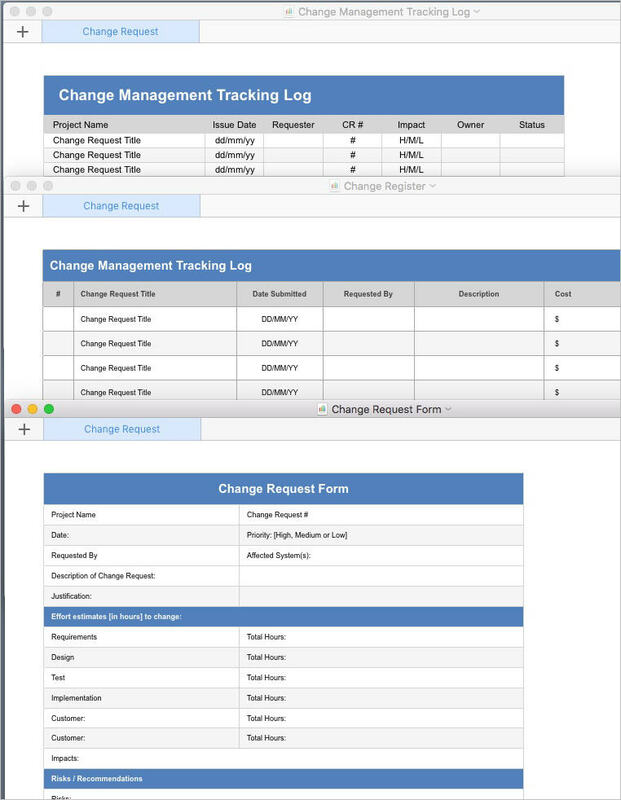 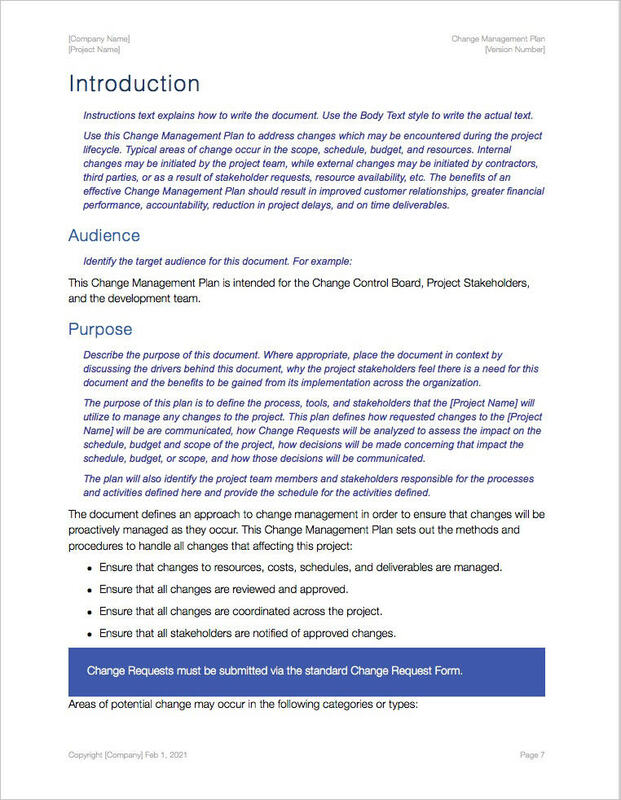 Use this template (iWork Pages 19 pages) to address changes which may be encountered during the project lifecycle. 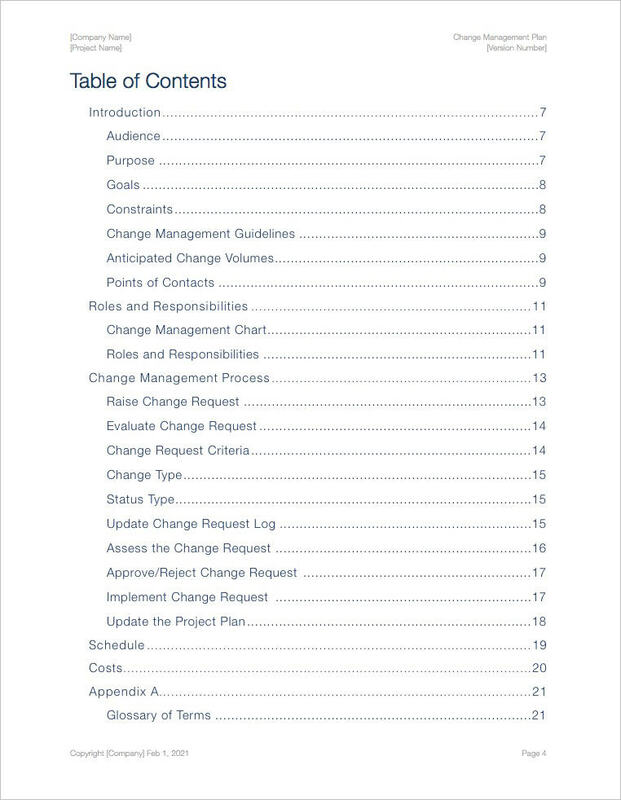 Typical areas of change occur in the scope, schedule, budget, and resources. 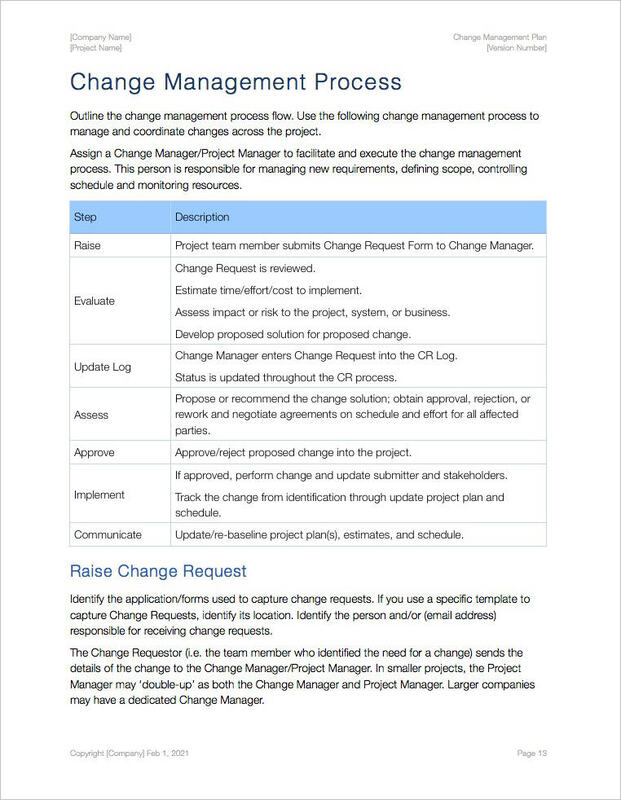 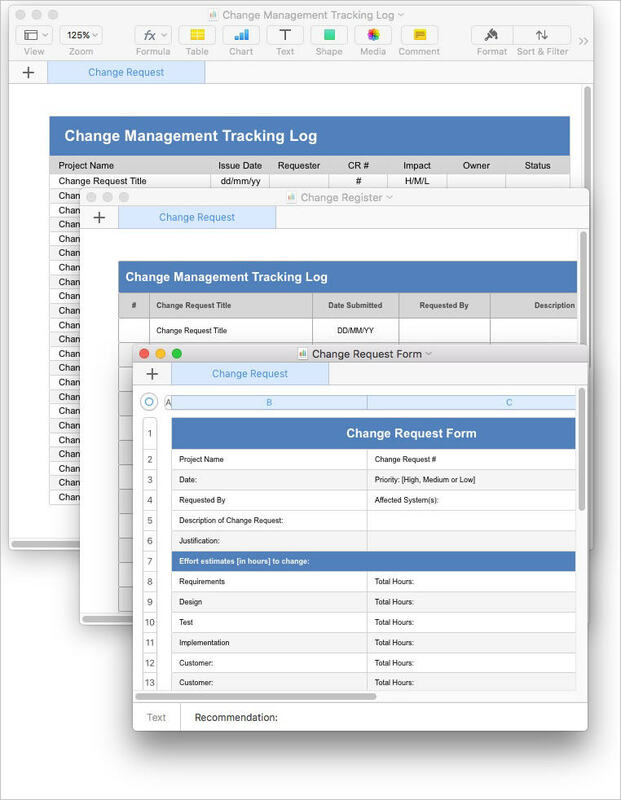 Define the process, tools, and stakeholders to manage any changes to the project. 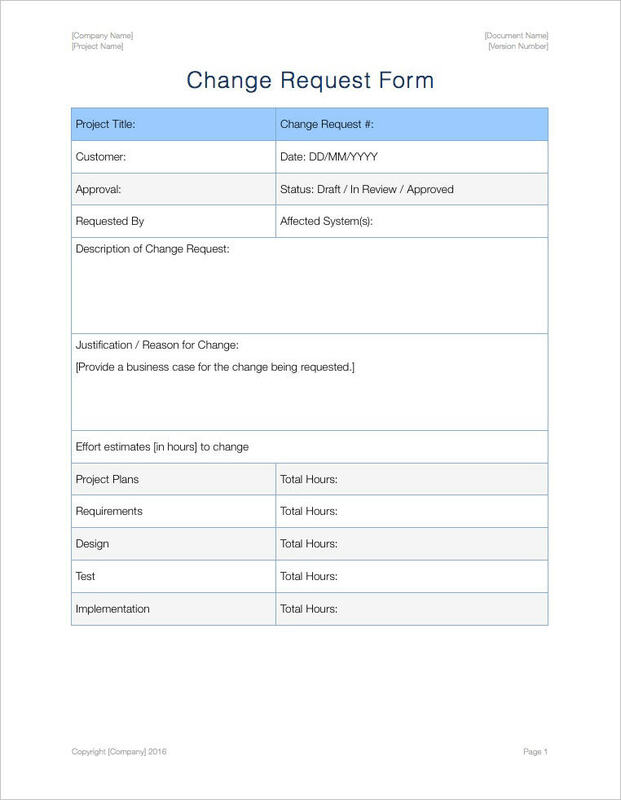 Improve customer relationships, establish greater financial performance, accountability, reduction in project delays, and on-time deliverables. 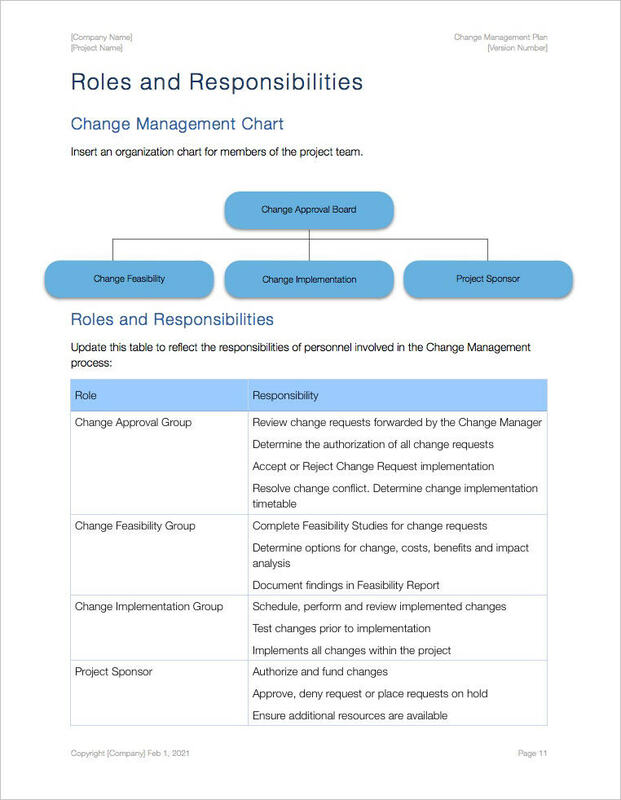 Ensure that changes will be proactively managed as they occur and that changes are coordinated across the project.